Well, no one could claim they did it on purpose, and few believe it will last very long, but we as a nation have actually managed to back into spending cuts. You might call it "leading from behind." Step back for a minute and ask: What the heck is really going on at City Hall under Mayor Mallory, Council member Qualls and City Manager Milton Dohoney? The doomsaying surrounding what can at best be called minimal cuts, has now reached its zenith. Rep Maxine Waters now claims that the Sequestration will cost 170 Million jobs. Here's a deal: When the sky fails to fall, when the world doesn't end, when cats and dogs don't date; how about we come back and double the sequestration. When that doesn't cause the world to end, let's double it again. Let's just keep doing that until the budget is balanced. Sound like a plan? This morning's Enquirer has a good read on the parking meter debacle at City Hall. Enquirer reporter John Johnston reports on the second public hearing on Roxanne Qualls plan to privatize parking meters in the City: "Parking backlash continues at City Hall, Citizens at public hearing overwhelmingly oppose the proposed plan." COAST has long led the fight against Redlight and Speed Cameras; having led numerous successful petition drives to stop them in communities throughout Ohio. Now, State Representatives Ron Maag and Dale Mallory have introduced legislation to outlaw Redlight and Speed Cameras throughout the entire state of Ohio. We appreciate their leadership on this. House Bill 69 will restore liberty to Ohio. We are thrilled to see this legislation moving forward. Today's Email of the Day comes to us from Riverview East Academy. The Lead Secretary was apparently responsible for co-ordinating the "volunteers" for her school. On the public's time, using public resources. The public has a right to see what is being done in their name, on their time and on their dime. And as even Spicoli knows, the school day is "Our Time." We have begged and pleaded; we've sued and settled; and CPS continues to violate the law and our agreement. What will it take to get them to stop abusing the taxpayers? Duke Makes it Clear that the Streetcar Tax is a Streetcar Tax! We have heard caterwauling from the Streetcar Sycophants like Roxanne Qualls and Mayor Mallory that Duke's proposed Streetcar Tax is not about the Streetcar. False accusations that COAST is using lies and misinformation to somehow "drum up" opposition to the proposal. The Company's Rider FRT and supporting testimony filed in these preceedings clearly define and identify the type of public transportation projects eligible for inclusion and specifically identify one particular project. namely the City of Cincinnati's street car project, as such a project...Nonetheless, there are no other specific projects to be identified presently pursuant to Rider FRT because no such projects exist at this time. We'll take that as vindication. The Streetcar Tax has always been about the Streetcar and nothing else; and will always be about the Streetcar, and nothing else. Read Duke's entire Memorandum Contra Staff and OCC Motions to Strike below. Submit your public comment in opposition to Rider FRT here. Remember to reference Case No. 12-1682-EL-AIR. If you read the newspapers, the "issue of the day" is Sequestration, Gun Control, ObamaCare, tax hikes, or some other sideshow. If you read the COAST blog, you might think it is the Streetcar, the privatization of Parking Meters or some other foolish policy of our City Council. Rather, the decision by the Federal Reserve to simply print money to buy $85 billion in bonds monthly is incredibly dangerous, phenomenally reckless, and as certain as the sunrise to undermine the value of the American dollar. Now we just need him to back it up at the bargaining table. We encourage Congressmen Chabot, Wenstrup and Massie to keep up the fight. We have seen emails detailing the involvement of the upper echelons of CPS administration running the levy campaign using public resources; we've seen emails detailing the sharing of students' personal information with Union political operatives; we have seen coerced political activism and contributions. Today we see forced voter registration by CPS personnel. Thankfully, CPS personnel are "hyper-aware about staying apolitical in their communications." "According to the Congressional Budget Office, the $85 billion in sequestration spending cuts translates into $44 billion reduction in actual federal outlays for 2013. The following chart puts that figure in perspective." As we've said before, Two, Three, many Sequesters! Amy Murray - Parking Lease is "Band-Aid"
Cincinnati City Council candidate Amy Murray is concerned that Council is promoting a parking deal that is bad for residents, bad for businesses, and bad for our city. "Once again, Council is making short-term, band-aid fixes to avoid addressing the real problem of a structurally imbalanced budget. I applaud the City for coordinating with the Port Authority in trying to manage parking lease issues. However, as I read this plan, I feel that we have gotten very far off track. Today's email of the day reminds us exactly the sort of people we are dealing with in the CPS abuse of taxpayer resources case. Roger Lewis, following up on his appearance in the very first Email of the Day, makes a return appearance. Roger Lewis responded by giving not a personal email, but his CPS phone numbers. Congratulations Roger Lewis on your second Email of the Day! 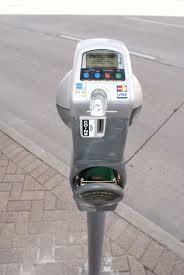 Mayor Mark Mallory, City Manager Milton Dohoney, and Mayoral candidate Roxanne Qualls are the architects of the City plan to lease the City's parking meters for 30 years, in exchange for an upfront payment of $92 million. National Review Online has a post discussing "The Uniquely American Way to Dictatorship." We may be heading into an era in U.S. history where the decades-long failure of Democratic management in America’s inner cities leads to the suspension of governance by democratically elected officials in order to save the cities that they are destroying. For Cincinnati, it may be that it's not just I-75 that leads us to Detroit. George Will On Obama's Sequester "Phony Math"
Appearing on ABC's "This Week" George Will took a look at the ridiculous claims by the Obama Administration of dire consequences of the sequester. Watch below. We're counting on our local Congressional Team: Speaker Boehner, Congressmen Chabot, Massie and Wenstrup and Senator Portman to hold firm. Will also shared his wisdom in this Washington Post column. The administration of Franklin City Schools appears to be as corrupt as Cincinnati Public's. So it is fitting that the Enquirer stand up for their right to abuse taxpayer dollars for political purposes. Superintendent Elam's letter to parents - delivered with indentured servant students - was not some quick, off-the-cuff, I lost my head sort of letter as has been suggested by the Enquirer and others. Rather this was a deliberately crafted political piece that was vetted and approved by the School Board prior to publication. Apparently the Board's hypersensitivity wasn't turned up to 11 that day. COAST blog and newsletters readers have enjoyed weeks and weeks of outrageous e-mails using the official CPS e-mail system campaigning for the Cincinnati Public School Levy on last November's ballot. You can read those stories here, here, here, here, here, here, here, here, here, and here. But what strikes COAST as most remarkable is not that teachers, principals, and even the Superintendent and School Board would engage in a broad conspiracy to abuse tax dollars -- indeed that has become de rigueur for what the Enquirer refers to as "hyper-aware" educators avoiding misuse of taxpayer resources. In a recent unsigned editorial, the Enquirer did their usual handwringing, blathery commentary; ultimately calling for a stop to the investigation into Franklin City Schools' blatant abuse of public resources. In the piece, here, the Enquirer noted that "school leaders are usually hyper-aware about staying apolitical in their communications." That would be all well and good if that was the situation here. As the email below demonstrates, this was not a mere accidental stepping over the line, this was a calculated, in your face, political ad masquerading as an informative letter from the Superintendent. A member of the community, in a friendly, professional email, pointed out that the communication violated state law. A member of the school board, rather than respond in kind, mocked the emailer in emails to the Superintendent. Hardly the sort of email that screams "hyper aware of staying apolitical." Unfortunately, Warren County Prosecutor, David Fornshell, has ended the investigation - prematurely in our minds. COAST will continued to follow this and the many similar instances of public officials misusing public resources for political purposes. The illegal distribution of Students' private information to political operatives by Cincinnati Public Schools officials is now being covered by Media Trackers. In the article, here, Media Trackers discusses the relevant laws and school policies that are likely to have been violated. This Council is absolutely batshit crazy. It's hard to explain just how dangerous, and irresponsible this bunch that's running City Hall is. John Cranley is shining a light of truth on the wholesale sale of City assets for 30 years, for a short-term benefit. It is utterly frightening. Check out his new web site here. Sequester "the most ridiculously hyped armageddon since the Mayan calendar"
We cannot agree more with Dr. Krauthammer. We look forward to a spirited campaign for Mayor and we only hope that reason and sanity win the day. John Cranley strikes a great chord with his introductory video. Tonight the PUCO will be hosting its second Public Hearing in the Duke Rate Case. Included for discussion and consideration is the infamous "Streetcar Electric Tax." Last night over 100 people filled the Fairfield meeting and we hope for an even bigger crowd tonight. Last week Channel 19, WXIX news reported on a horrific story coming out of Kings School District. Serious allegations of abuse of special needs children by a teacher have been levied and rather than fire the teacher, the Kings Board allowed her to resign with a good reference. COASTer Kim Grant became aware of these allegations and in order to serve her community, sought to bring them to the public. She has led the charge in seeking the documents including filing a lawsuit before the Ohio Supreme Court. The parents and citizens of the Kings School District deserve to know the truth of this matter. Last night the school board announced that they would not release the records COAST is seeking. View the Ohio Supreme Court filings here. Read WXIX's coverage of the story here, here and here and view their report below. WXIX uncovered a letter containing the allegations here. The fundamental building blocks of a municipality are the dedicated public improvements that constitute the streets, sidewalks, sewers, water lines, parks and other infrastructure. Thus, the announcement today that Cincinnati intends to embark on long-term lease of Cincinnati's parking assets, including meters on the public streets, to a private company in exchange for cash to balance their operating budget deficit, and flashy new municipal projects, is a dangerous departure from those core governing principles. For, despite the feel-good rhetoric spun by the administration and Mayoral candidate Roxanne Qualls, the streets and parking meters are now simply sources of profit for some venture capital fund who could not care less about the public interest of Cincinnati. Make no mistake that Roxanne Qualls and Milton Dohoney are selling the jewels of our municipal infrastructure for the short-term gain of balancing the City's out-of-balance budget. They are selling our sovereignty for a few pieces of silver. If there was any doubt at all how greater Cincinnati views the Streetcar, and in particular Mayor Mallory's hidden taxes to subsidize the Streetcar, tonight's wall-to-wall crowds at the hearing of the Public Utilities Commisison of Ohio should leave no doubt. We assure you that not a soul was there to speak in favor of a rate increase to help the Streetcar. Today's email is a few more of those "rogue employees" that CPS can't possibly be expected to control. You know, like the Superintendent and Board Members! Read as CPS Superintendent Mary Ronan and School Board Members Eve Bolton, Melanie Bates and Eileen Cooper Reed direct the operation of the Levy Campaign, using the CPS email system. Included in the Request is the Streetcar Electric Tax. As detailed here and here. If allowed, this will result in the cost of the Streetcar being covered by Electricity users throughout the region, not solely within the City Limits. The best way to ensure that this cost is born by the City of Cincinnati is for PUCO to Deny the Request for the Streetcar Tax (Officially Rider FRT) and declare that the City of Cincinnati is responsible for the costs of relocating utility lines for the Streetcar. Approximately 500 people have already submitted comments online. Submit your comments in person tonight or online here. Make sure to reference Case Number 12-1682-EL-AIR. Read other comments here. Are you tired of watching "public servants" misuse public funds to promote their political causes? Are you tired of watching the elected officials ostensibly in charge of stopping these abuses condone the abuse? There is an answer: Citizen Involvement. This November three of the five seats on the Franklin City Schools Board of Education are up for election. Control will be decided. Are there three concerned citizens in Franklin willing to step up and run against the misuse and abuse of tax dollars? The involuntary servitude of students? In Franklin with 25 valid signatures and $30 you can get your name on the ballot and run for School Board. Petitions to run individually are available online here. Petitions to run as a slate are available online here. JoAnn Feltner, Paul Hillard and Chris Sizemore clearly are unwilling to act to protect the taxpayers and the students. Cindi Andrews at the Enquirer has an article reviewing the latest of the Cincinnati Streetcar Boondoggle and the Duke PUCO case. Ms. Andrews states "Many are non-city residents who mistakenly think they’re being asked to pay the estimated $15 million cost to move utility lines out of the rails’ way." We've all heard the expression, "What's good for the goose is good for the gander." Well, COAST is bringing its gander to Franklin City Schools' table. Three seemingly unrelated stories arising from the 2012 general election have developed just in the past few weeks. CINCINNATI, OHIO - FEBRUARY 17, 2013 - Six Members of Council and the Mayor are pushing the SORTA Board to expand language that would include funding for the streetcar. This decision will be negative to bus routes over the long term. The majority of bus riders are African Americans in Cincinnati. Bus riders have seen fares go higher and routes reduced over the last 5 years. "The streetcar is not in the interest of our members. We remain concerned by the lack of basic financial common sense at City Hall," President Smitherman said. Reading Roxanne Qualls' memo to City Manager Dohoney and Mayor Mallory we were reminded of that great Paul Simon song, "Still Crazy After all These Years." The goal of this approach is to bring the streetcar into service in time for the All Star-Game and on budget. CINCINNATI, OHIO - FEBRUARY 17, 2013 - This week the City Administration announced that the lowest bid for building the streetcar was double the estimates presented to the public over the last 4 years. These "real" estimates confirm that the estimates provided by the broad coalition against the streetcar were accurate over the past 4 years. Unfortunately the cost is even more expensive than $151-$180 million reported. These numbers do not include the full cost of utility movement nor interest on the $64 million of debt to build the streetcar. "City Hall has been intentional in misleading the public on the cost of a 3 1/2 mile streetcar. This project continues to undermine the long term solvency of the City of Cincinnati. Bankruptcy is not progress," President of the Cincinnati NAACP said. A few weeks ago there was a steady drumbeat of outrage coming from the Democrats over the political speech of a member of the Ohio School Board. Deb Terhar, reposted a political message some find objectionable on her personal facebook page, and a short time later removed the message. This led to calls for her to be removed from the school board, for her to resign, everything short of a gallows being constructed. All over a pretty innocuous facebook posting on her personal facebook page. On to Step 4 of the Cycle of Abuse of Public Resources - Contact Franklin Schools Now! Third Base Politics reports that the Franklin City Schools have "scrubbed" their website to remove the most blatant political propaganda from Arnol Elam's letter to parents. Not that we believe the current version is an acceptable use of public resources either. We'd consider this to be the Fourth Stage of the Cycle of Abuse. Abuse – Your abusive governmental official lashes out with aggressive, belittling, or violent behavior. The abuse is a power play designed to show the taxpayers "who is boss." Guilt – After abusing the taxpayers, your public official feels guilt, but not over what he's done. He’s more worried about the possibility of being caught and facing consequences for his abusive behavior. Excuses – Your abusive public official rationalizes what he or she has done. The person may come up with a string of excuses or blame you or others for the abusive behavior—anything to avoid taking responsibility. Fantasy and planning – Your abusive public official begins to fantasize about abusing public resources again. He spends a lot of time thinking about what political opponents have done wrong and how he'll make them pay. Then he makes a plan for turning the fantasy of abuse into reality. Set-up – Your abusive public official sets you up and puts his plan in motion, creating a situation where he can justify abusing public resources. Lurching from crisis to crisis, the Cincinnati Streetcar project has provided endless fodder for the local news. Indeed, this week's breathtaking news that the project already is some $26 million over budget would make most rational people take a step back and re-think the project. But "most rational people" apparently does not include the majority of our City Council, the Mayor and the City Administration. But, stepping back for just a minute, where is this all headed? We don't normally repost Press Releases from Congressman, but this one from Rep. Lt. Col. Brad Wenstrup caught our eye and we think it will catch yours too. Duke Energy finally filed its claim for Declaratory Judgment against the City of Cincinnati on Valentine's Day! Honestly, could the week be any better for COAST?? It is Duke's position that Cincinnati's Ordinance No. 349-2012 unconstitutionally amended the Municipal Code to shift the cost of relocating utility lines for the Streetcar Boondoggle to Duke. Duke rightly points out that if this Ordinance is allowed to stand, the cost of the streetcar will be born by non-Cincinnati residents. Including residents of Hamilton, Butler, Clermont and Warren Counties. We cannot wait to watch the fur fly! Read the Enquirer story here. Arnol Elam, the Superintendent of Franklin City Schools, apparently looked at what Mary Ronan was doing at CPS and thought he'd try to best her. His letter to parents (available here) - which he sent home with the students - called for political action against Kasich and state legislators who vote for his budget. Mr. Elam is certainly entitled to his opinion, but he is most certainly not entitled to use public resources to amplify his voice. COAST intends to vigorously push back against this abuse of public resources. 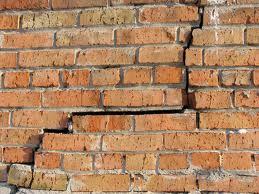 Finally, a crack has emerged in the wall of the political support in City Hall for the Streetcar project. And like the Berlin Wall, once breached, it quickly will be torn asunder by the very people it was oppressing. Read this remarkable development of Roxanne Qualls breaking ranks with Mayor Mallory and the City Administration on the Streetcar issue. The Cincinnati Enquirer is reporting that Cincinnati Dems intend to appoint Pamula Thomas to fill the seat her husband is expected to step down from. This is expected to make it easier for Mrs. Thomas to retain that seat in November. Voters will remember Mrs. Thomas as the Democrats candidate for Clerk of Courts in 2012 and also as one of the key players in the 2010 election scandal "Ice Cream for Votes" - wherein CPS students were bussed to the polls and given Democrat sample ballots before being taken for ice-cream. That says just about everything you need to know about the state of the Democrats in Hamilton County. We wonder, will Mary Ronan be their candidate for Mayor in four years? Channel 12 has the report here. The streetcar project has kind of become like a whack-a-mole game. As soon as backers successfully deal with one issue or another ... yet another pops up and opponents grab hold. One question Jeff. What issue have streetcar backers actually successfully dealt with? They've kicked a lot of cans down the road, they've robbed Peter to pay Paul. They've lied about the costs (see Dohoney's line that he never expected the bids to come in on budget). In short, the streetcar backers have been selling the people of Cincinnati a bill of goods. WCPO is reporting that Warren County Prosecutor David Fornshell is investigating Franklin City Schools for using school resources for impermissible political campaign purposes. Read the WCPO story here. Over the past couple of weeks we've been updating you on some of the more shameless/outrageous/ and just plain humorous emails turned over by CPS thus far. 1: Carolyn V.M. Pedapati, Ed. M - for sending student data to a union political organizer. 2: Jennifer Martini, M. Ed. - for the veiled threat "Walk, talk, or pay." 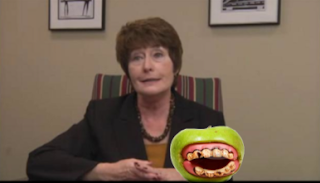 3: Kelly Rozelle and Ceair Baggett - for making light of CPS bullying for political contributions. 4: CPS and CASE for bullying employees into making political contributions. 5: Jens Sutmoller for attempting to conscript students into "volunteering." 6: Brad Dillman for inviting CASE to participate in a political volunteer event but no other issue groups. 7: Pleasant Ridge Montesori for campaigning in the school newsletter sent to parents. 8: Jared Caesar and Yzvetta Macon of South Avondale for rescheduling parent conferences to allow teachers to campaign. 9: Roger Lewis for including levy campaign activities in his daily update email. 10: Superintendent Mary Ronan for orchestrating all of this! Your vote matters, please select one for this special honor. Brian Thomas at 55KRC spoke with Ohio Auditor David Yost this morning about the recent revelations of CPS manipulating student attendance data to undermine the integrity of the school grading system and goose their own numbers. Yost pointed out that this was not some "victimless" crime, rather the victims are the students of those schools who were robbed of the opportunity to seek vouchers because the school results were bumped up illegally. The victims are the students who didn't get the federal money for tutoring that they would have qualified for had CPS not cheated the system. CPS trapped these kids in underperforming schools and stole their opportunity for hope. As Auditor Yost points out, this was not the result of a few rogue teachers, this scheme was fomented and carried out at the highest levels of CPS administration. This scam is likely to cost CPS upwards of $40 Million in state funding, with criminal prosecutions to come. Listen here beginning at 17:50. Over the past week and a half we have released emails detailing CPS' misuse of public resources; bullying tactics used against its employees to secure political action and contributions (Walk, Talk or PAY); attempts to conscript students into "volunteering" for the levy campaign; and these emails have shown that all of this has been orchestrated not by a few rogue employees, but by Superintendent Mary Ronan and the upper echelon of CPS administration. Today's email is possibly the most damning to date. Ms. Carolyn V.M. Pedapati, Ed.M, CPS' Social Studies Curriculum Manager and TAH Program Director, whose office just happens to be located in the "Superintendent's Office, Curriculum Dept." - which is our way of saying she ain't no lowly rogue employee - emails the Social Studies Department Chairs with info on the CPS voter registration drive. Ms. Pedapati, Ed.M was also kind enough to include a spreadsheet of all the CPS students who turned 18 before election day. So far there doesn't seem to be anything untoward here. But...what's this? who's the second person CC'd on the email? Why Tom Frank, at his UNION email address. Well why would the Social Studies Curriculum Manager and TAH Program Director be emailing a spreadsheet with confidential student information to the UNION email address of a teacher that CPS insists was on work release at the time, not doing any official CPS work? Surely Tom Frank is a high school social studies teacher, so the spreadsheet was of his current students and he had some legitimate pedagogical reason to have that spreadsheet right? What's that? He's an elementary school music teacher? Huh? Is it starting to become clearer? CPS bullies its employees into working for the levy; they campaign for the levy using school resources; including school newsletters to parents; attempt to conscript students into working for the levy, all at the behest of the CPS administration. So, what do you think Tom Frank did with that spreadsheet? Do you think he baked some birthday cakes? 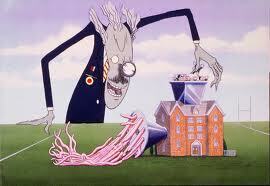 Or do you think he used that information to target voters for the school levy and other Union supported causes? Every bit of this is (a) illegal under state law; (b) in direct violation of the 10 year old agreement CPS entered into with COAST; and (c) just plain sleazy. By the way isn't there some sort of Federal Law about disseminating students' private information? The continuing, soothing refrain of "Remain calm, all is well" from Mayor Mallory and City Manager Milton Dohoney while the Streetcar project careens behind schedule and over-budget is already wearing thin, yet they persist. The story below the headline, "Streetcar Track bids exceed City estimates," is devastating to the project, with the lowest bid for the largest component for the project coming in at 58% over-budget. Scandalous CPS Email #7 - Walk Talk or Pay! Today's Email of the Day follows up on the theme of the nefarious shakedown of School Teachers by CASE - the gang involved in running the Levy Campaigns. Nothing says uncoerced, voluntary political activity, speech and financial contributions quite like an email to your workplace telling you to "Walk, talk, or pay." That's right, Kilgour's staff was subjected to that threatening language through the CPS email system from Ms. Jennifer Martini. But don't worry, CPS assures us that these are the acts of a few rogue employees. Nevermind the fact that they are acting at the behest of Superintendent Mary Ronan, on school time, using school computers and email. What America needs is not Robin Hood but Adam Smith. In the year we won our independence, Adam Smith described what creates the Wealth of Nations.He described a limited government that largely did not interfere with individuals and their pursuit of happiness.All that we are, all that we wish to be is now threatened by the notion that you can have something for nothing, that you can have your cake and eat it too, that you can spend a trillion dollars every year that you don’t have. 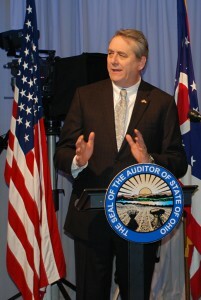 Ohio Auditor David Yost has released a report on the investigation into "irregularities" in reporting by nine school districts in Ohio. To absolutely no one's surprise, CPS is embroiled in this scandal as well. CPS systematically "un-enrolled" students who transferred between schools within the district but missed school days between the transfer. By so doing, CPS was able to remove those students from the CPS report card. Thus, CPS goosed its test scores. Like the levy campaign scheme, this appears to have been orchestrated at the highest levels. Our review of the report shows that South Avondale Elementary was part of this scam. You'll remember that name from our Email of the Day #2. In that email the School's union rep informed the Principal that parent teacher conferences would have to be rescheduled to accommodate political campaigning. These incidents are really two sides of the same coin. In both cases CPS administration is placing money before the students. Funny, we've always been taught that it is only those evil for profit businesses that put profits before people. As the Enquirer reports here, the three bids for the construction work on the Streetcar route have come in and vary widely. From a low bid of $71 Million to a high bid over $87 Million it is clear that there are still a lot of unknowns about this project. Remember, these bids do not include the cost of the Streetcars themselves, or the cost of relocating utility lines. COAST is the first to publish the actual bids. Review the documents for yourself below. We will follow up with the projected Streetcar budget to determine just how far off the City's projections are. Today we present an email to the staff of Pleasant Hill Academy. Teacher Kimberly Russell reminds her co-workers that CPS superintendent "Mary Ronan has asked that every school volunteer some time to ensure the levy passes." Thus, we know that the use, misuse and abuse of school resources was not the acts of a few rogue employees, as CPS counsel has suggested. Rather this systematic abuse was part of an orchestrated effort, sent down from the highest levels of CPS administration. Tonight as President Obama fulfills his Constitutional obligation to report to the Congress on the State of the Union, COASTers will be quite pleased at what we don't see. As Deirdre Shesgreen at the Enquirer reported, we won't see our Congressman waiting breathlessly to shake Obama's hand and get an autograph. More importantly, we will know that our Congressman didn't spend an entire day (10-12 hours) waiting at that aisle seat to guarantee a chance at a few seconds of television time and the aforementioned autograph. No, our Congressman has made it clear that he will not become a "Aisle Hog," and that he will be attending to his duties as a Congressman today. Thank you Congressman Wenstrup for returning dignity to the Second District's Congressional Representation. Be sure to check out this great piece by National Journal on the Curse of the Aisle Hogs. CPS administrators admit to violating State Laws in reporting enrollment and Ohio State Auditor Dave Yost has cited CPS in the report for picking and choosing which laws to follow. We call this par for the course with CPS. They can't live up to their contractual obligations, why should they comply with state law? The famed "bully" email exchange between two CPS Assistant Principals. We've included the CASE campaign finance reports that show that three days after complaining of being bullied into contributing, CPS Assistant Principal Kelly Rozelle gave in to the bullying. In case you had not noticed, COAST is very much enjoying its pursuit of the litigation against Cincinnati Public Schools and Superintendent Mary Ronan for their systematic misuse (read: theft) of public resources to subsidize the campaign for the 2012 campaign generally (for leftist candidates and causes) and the 2012 school levy renewal campaign specifically. Another Shocker - CPS Email of the Day #4 - Invite the Students! The depths of the misuse and abuse of school resources apparently knows no bounds for these people. Not content to use the financial resources (computers, email, faculty, staff, etc.) 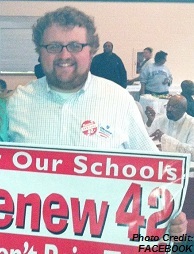 of the Cincinnati Public Schools; Jens Sutmoller seeks to conscript students into the Day of Action. Equally fascinating, when offered the opportunity to present the campaign to the students on equal footing with other political campaigns - as part of a legitimate educational program - Sutmoller declined; citing, of all things, "complicated legal reasons." We'd love to know what these complicated legal reasons are. It has all come full circle when one of the leading voices for liberalism in this nation, Rolling Stone magazine, correctly points out, essentially, that the bitter end for liberalism is that they have run out of money for their welfare state programs, such that they have to sell the assets of the welfare state to continue to fund it. Roxanne Qualls and her merry band of thieves at City Hall would do well to read and heed the warnings in this 2010 article. Dr. Ben Carson is a pediatric neurosurgeon and professor at Johns Hopkins Medical School. He spoke at the National Prayer Breakfast this year. Some celebrate his talk for speaking of lower taxes while President Obama sat and watched. We celebrate the talk for its truth. Outsourcing Law Enforcement Leads to Corruption? Time and time again we've heard the phrase "the Chicago way." Little did we know all that the Chicago way entails. The Systematic abuse of public resources by Cincinnati Public Schools is on full display with the third entrant in the CPS Email of the Day/CPS Bad Apple Award contest. Today's entrant comes to us from Pleasant Ridge Montessori. The school newsletter, used to communicate with teachers, staff and PARENTS, included not only political advocacy for the levy itself, but also a plea for volunteers in support of the levy; links to the pro-levy campaign website; and contact information for the people running the levy campaign. CATO Institute Weekly Dispatch links to four pieces welcoming the Budget Sequester. First, Christopher Preble says "Sequestration is Still Better than the Alternatives." Then Tad DeHaven provides his insight with "Sequestration Cuts Will Lead to Floods, Plagues, and Pestilence." 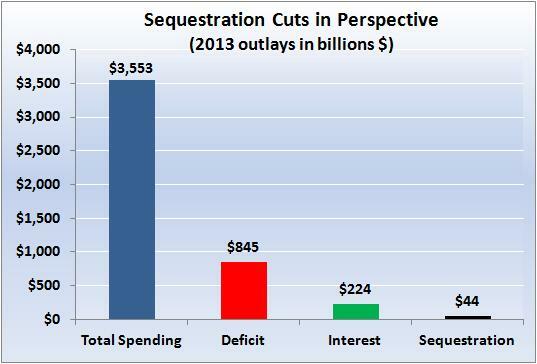 Daniel J. Mitchell adds his voice, "Exposing the Absurdity of Washington's Anti-sequestration Hysteria." Finally, a study by Christopher Preble and Benjamin Friedman "Budgetary Savings from Military Restraint." Let us add our voice to this growing Chorus. Bring on Sequestration. Create Two, Three...many Sequestrations! Today's installment of the CPS email of the day is particularly charming. What some might call a two-fer. But wait, there's more...For the twofer, the union rep tells the Principal they need to reschedule the Parent Teacher Conferences to accommodate the political campaigning he'd been organizing on school time using school resources. Because we can't let a little thing like parental involvement in education get in the way of political campaigning! If you read today's Baltimore Sun's rather candid assessment of the City of Baltimore's financial picture, it sounds a whole lot like Cincinnati's, the only difference being that few commentators and objective analysts are sounding off about Cincinnati's bleak situation. Read the Baltimore analysis here. Cincinnati could use some of that self-analysis. As we may have mentioned a few times, Ohio's Public Utilities Commission is considering a proposal to allow Cincinnati to pass on the cost of utility relocation onto rate payers rather than have the City cover those costs itself. The infamous Streetcar Tax. We may have even encouraged you to submit a public comment. Below is a recent comment submitted by a Mr. Larry Southwick of North Avondale. Read his comment and then submit your own here. Remember to include "Case No. 12-1682-EL-AIR"
As we go through the documents CPS has turned over thus far, we are finding countless "gems." It seems unfair for us to keep these to ourselves. So we thought we'd post them to Scribd and share them with our readers. First up an email from the Principal of North Avondale Montessori to what appears to be the entire staff of the school from September 3, 2012. Mr. Lewis includes on the list of upcoming events "CPS Levy campaign 3-6pm" on the schedule for September 6. Not content with just one mention, he later writes, "Please sign up for the Sept 6th and/or Sept 10 "CPS Levy Day of Action" by Friday, Aug 31st." COAST has been no fan of David Mann through his tenure on Cincinnati City Council and his single term in Congress, but given the current insane bunch at City Hall, it was actually refreshing thinking of another adult on City Council to join Sittenfeld, Smitherman and Winburn in questioning the spending decisions of Mayor Mallory and his merry band of thieves. Welcome back to the circus, Mr. Mann. Monday afternoon the Office of Ohio Consumers' Counsel filed its "Objections to the PUCO Staff's Report of Investigation" in the Duke rate case presently before the PUCO. The Consumers' Counsel joins the rising chorus against the Streetcar Tax. While we'd like to think that COAST has pursued and explained this issue as well as anyone; we must admit that the argument put forth by the Consumers' Counsel impresses us for its clarity and depth of analysis. In just a few paragraphs every horrible aspect of the proposed tax is laid wide open for all to see.